Making food in this interactive book is a no-mess endeavor. 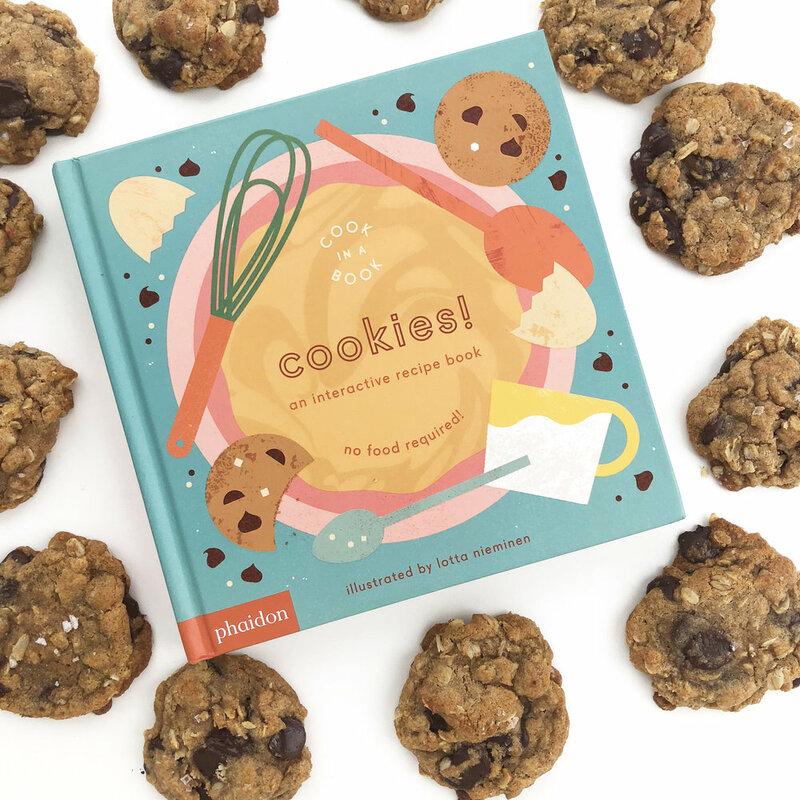 However, a recipe unfolds with each page turn, allowing budding chefs to practice their culinary skills as a reading extension. With clever paper engineering and movable parts, the Cook In A Book series will have you pining for pancakes, pizza, cookies, or tacos any day of the week. Cookies! : An Interactive Recipe Book (Cook In A Book) by Lotta Nieminen.